You can either write your own Terms and Conditions, or just fill in the proper form, that will allow you to create them automatically. You can also add your contact details, as well as any information about you or your company. The content of Terms and Conditions depends on the country you live in. So it is important to find out about what is recommended or mandatory in your own country or state. 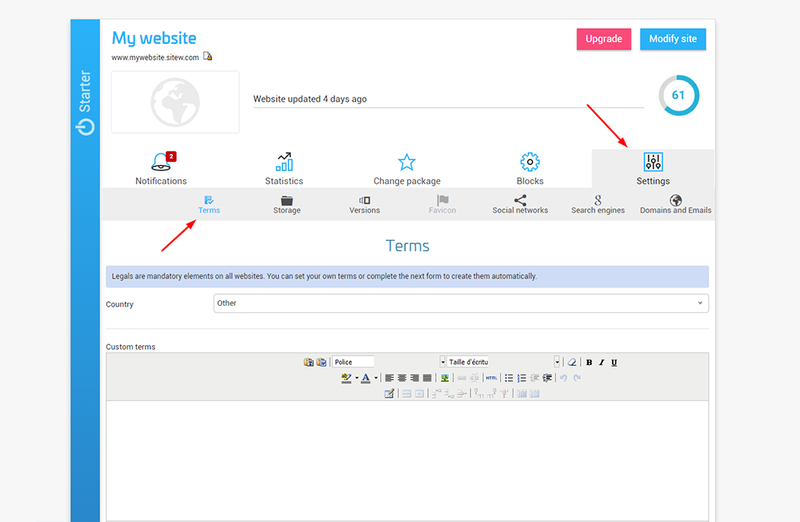 SiteW will help you by automatically displaying the contact details of your website host. Once fulfilled, the Terms and Conditions of your website will be publicly accessible. They will be displayed at the bottom of your website pages.